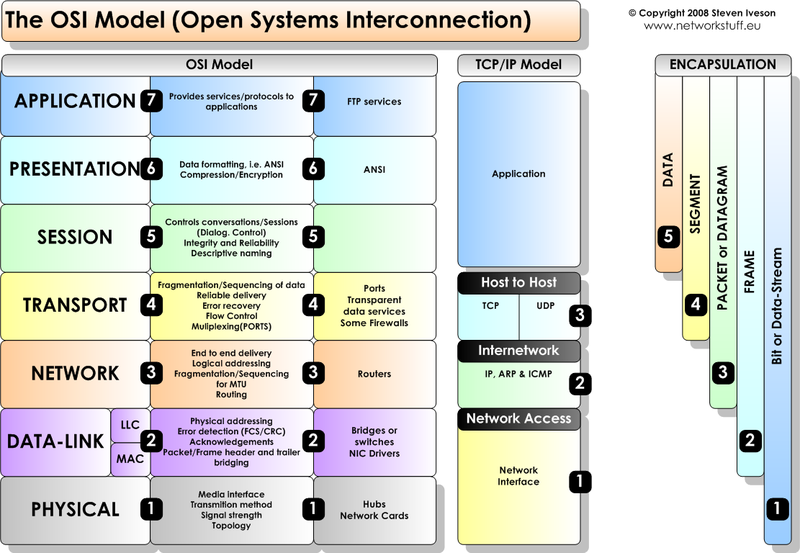 This is reference model in this model we can identify architectural perspective for networks. This layer provides a user interface by interacting with the running application. E-mail, FTP, web browsers are network applications that run on this layer. Provide services and protocols to applications. The data conversion takes place at this layer. The data that it receives from the application layer is converted into a suitable format that is recognized by the computer. For example, the conversion of a file from .wav to .mp3 takes place at this layer. Also concerned with the syntax and semantics of the information transmitted. And also doing Encapsulation of data for transmission through the network. The main function of this layer is to translate the network address into physical MAC address. Or the network layer is concerned with controlling the operation of the subnet. The data has to be routed to its intended destination on the network. This layer is also responsible to determine the efficient route for transmitting the Packets to its destination / determining how packets are routed from source to destination. While doing so, it has to manage problems like network congestion, switching problems, etc. The protocols used here are IP, ICMP, IGMP, IPX, etc. The data link layer is responsible for moving frames from one hop (node) to the next. And Provides for reliable transfer of information across the physical link. The main function of this layer is to convert the data packets received from the upper layer into frames, and route the same to the physical layer. Error detection and correction is done at this layer, thus making it a reliable layer in the model. It establishes a logical link between the nodes and transmit frames sequentially. Physical layer coordinates the functions required to transmit a bit stream over a physical medium. It defines a number of network functions, not just hardware cables and cards. As the name suggests, this is the layer where the physical connection between two computers takes place. The data is transmitted via this physical medium to the destination's physical layer. The popular protocols at this layer are Fast Ethernet, ATM, RS232, etc. In this model have four layers. 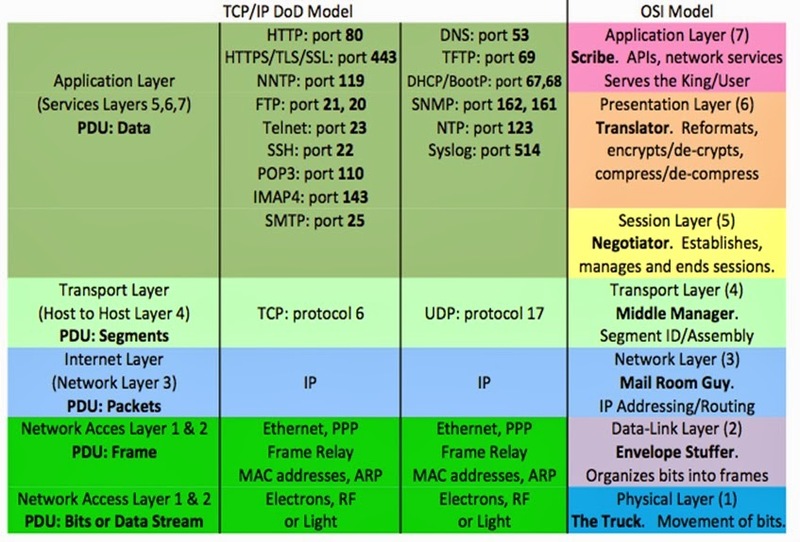 This layer corresponds to the OSI's Physical and Data Link layers. It explains how the data is transmitted from the host, through the network. The physical connectors like the coaxial cables, twisted pair wires, the optical fiber, interface cards, etc., are a part of this layer. 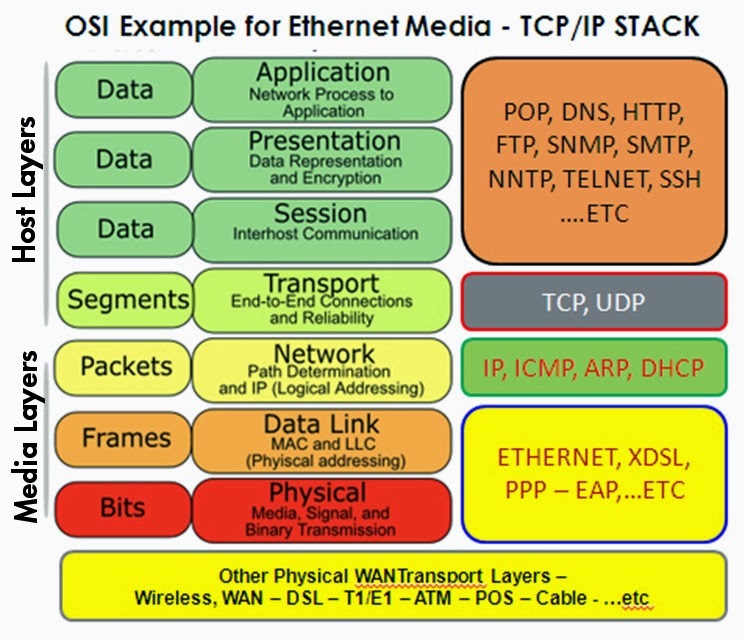 This layer can be used to connect different network types like ATM, Token ring, Ethernet, LAN, etc. According to article obtained from the internet networking professionals "need to know both models"
– Services: This definition tells what the layer does. It defines the layers semantics. – Interface: It tells the process above it how to access it. – Peer Protocols: Protocols used in a layer are the layer’s own business. 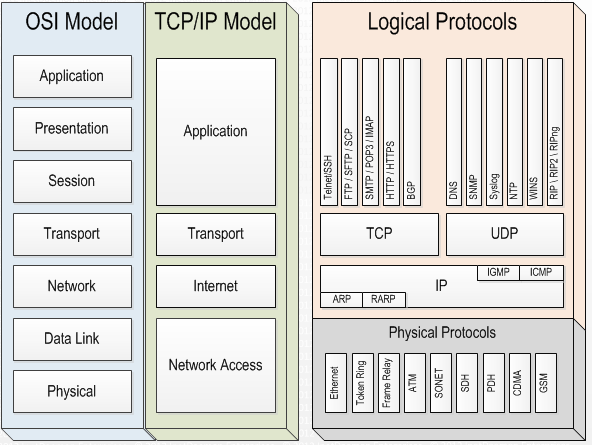 • With TCP/IP, the protocols came first and the model was really just a description of existing protocols. – Protocols fit the model perfectly. • TCP/IP Protocols are considered to be standards around which the internet has developed. 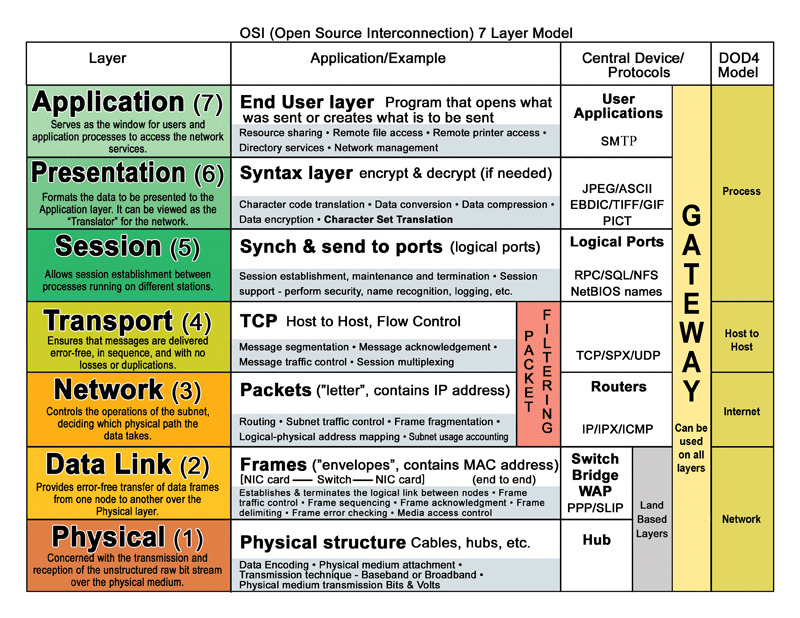 • The OSI model however is a generic, protocol- independent standard.